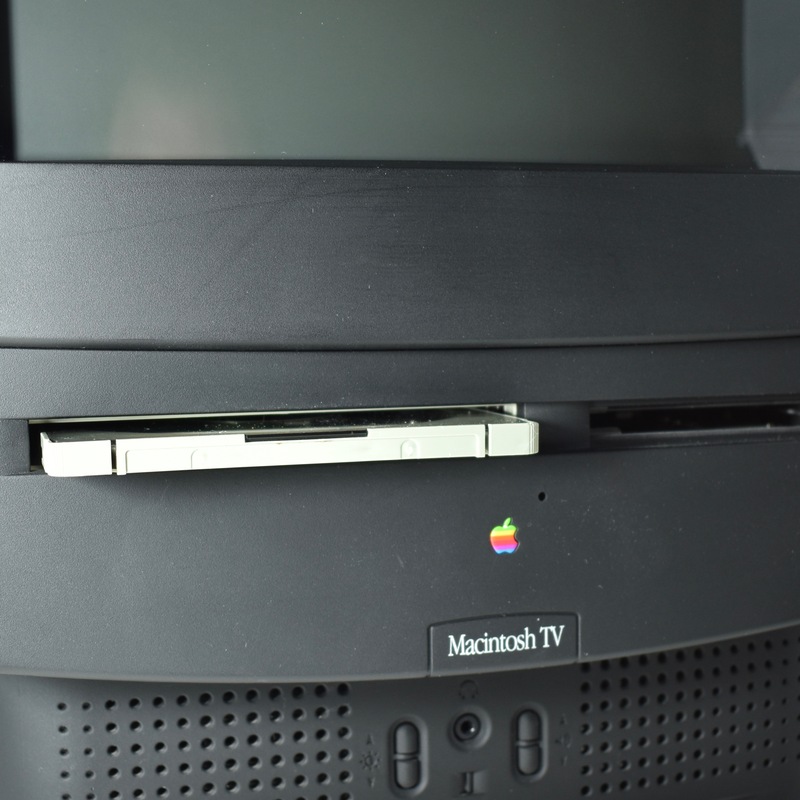 I acquired my Macintosh TV in the early 2000s in an eBay purchase. 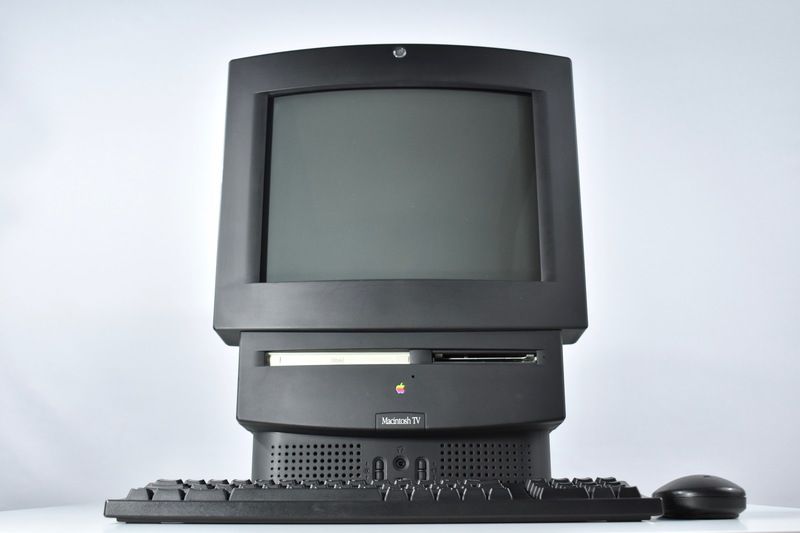 This 1993 Macintosh is said to be among the most rare with sources reporting between 8,000 and 10,000 manufactured. 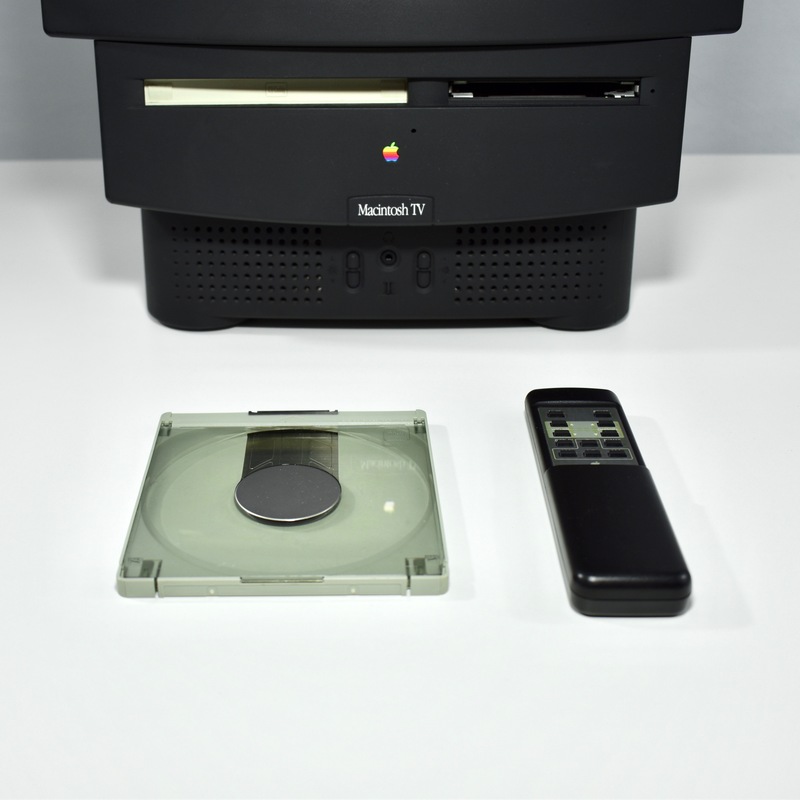 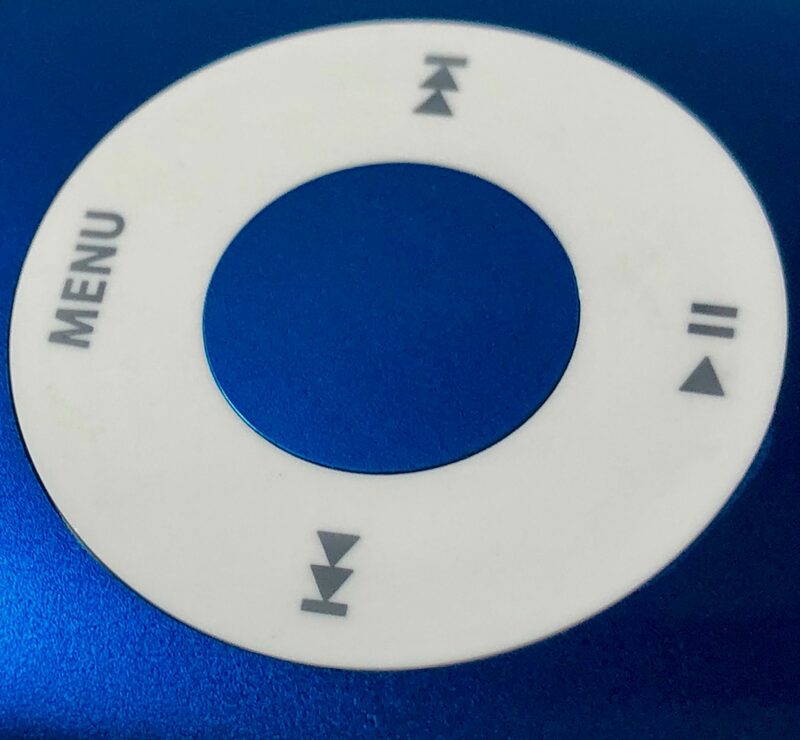 The machine is based upon the Macintosh LC 520, but it came standard with a TV and FM tuner card with a remote control. 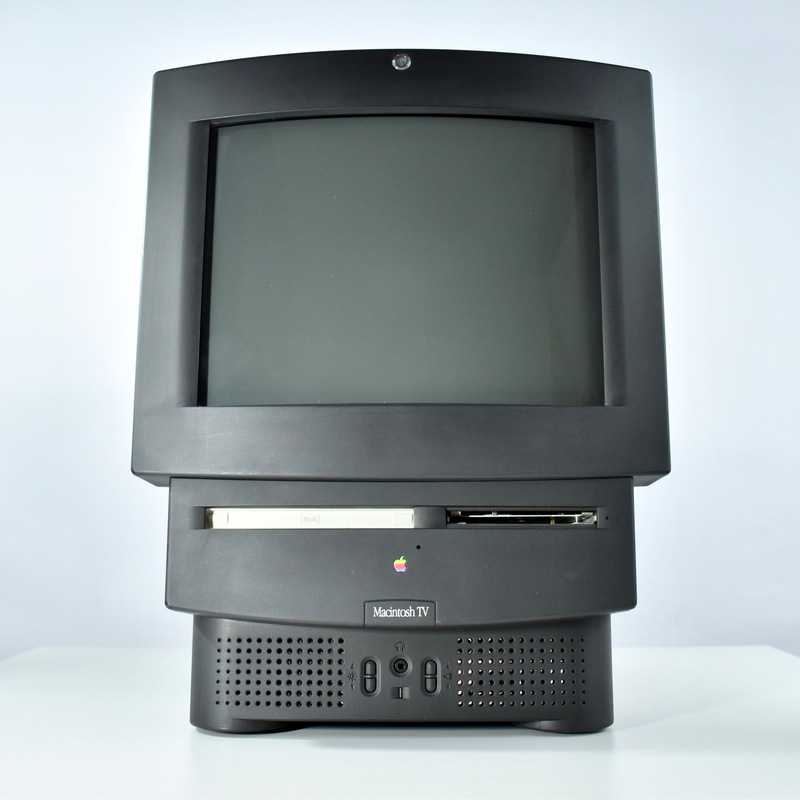 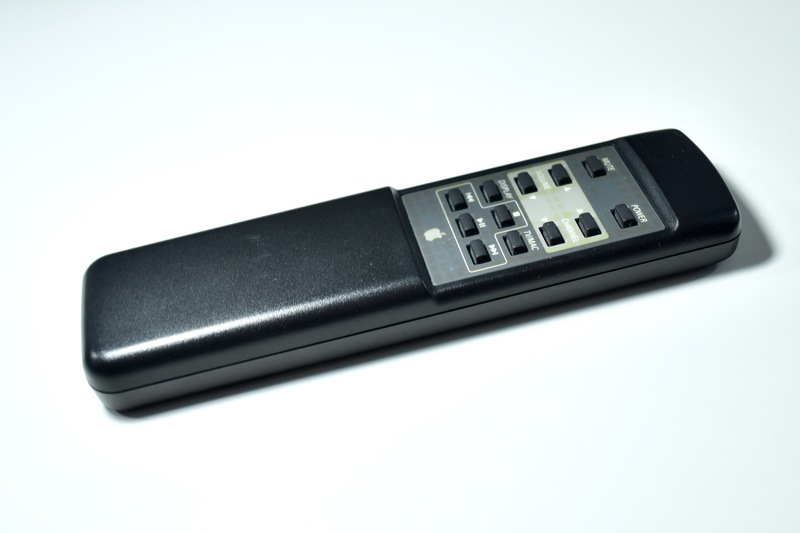 The computer was Apple’s first computer to ship standard with a cable-ready (BNC port) television built in. 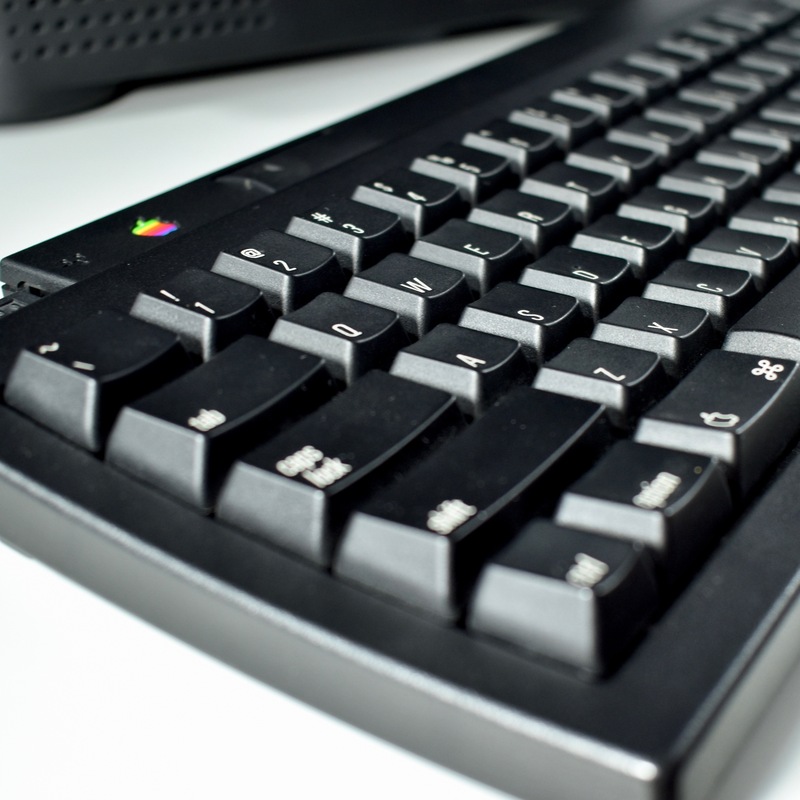 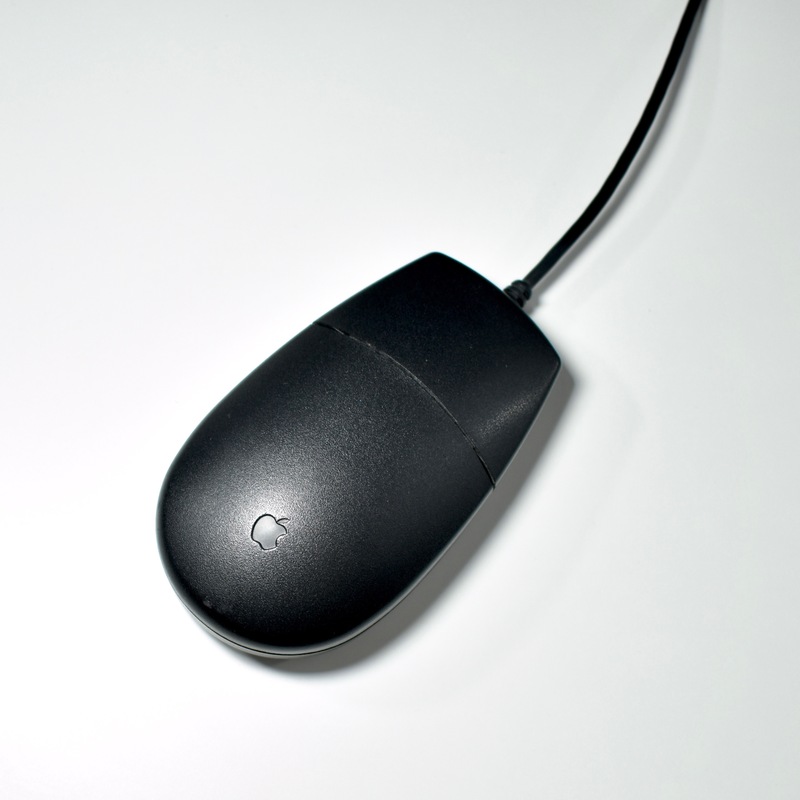 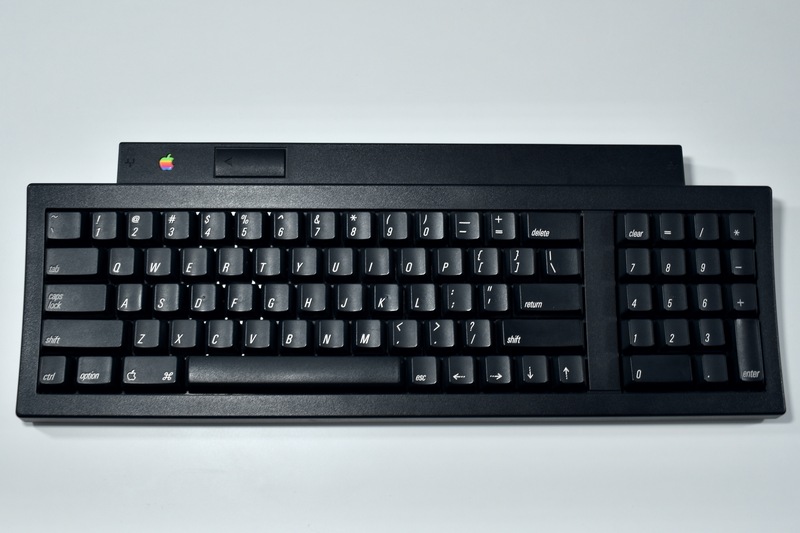 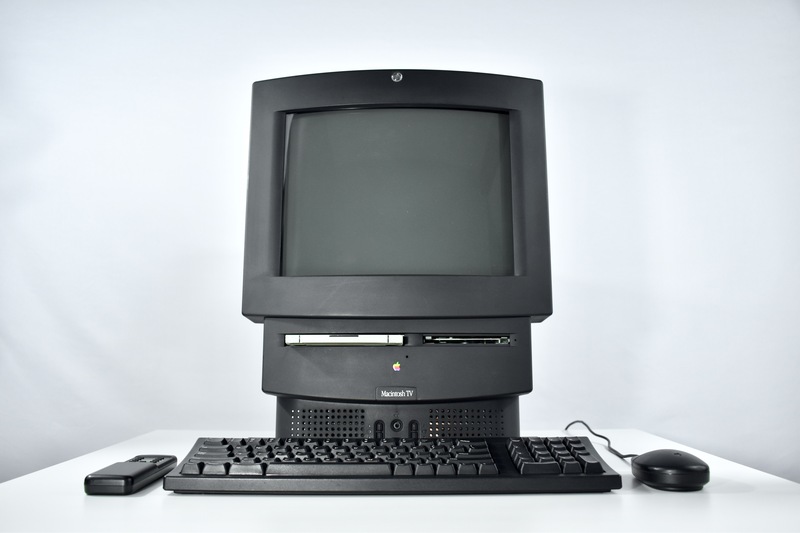 One of the rare elements about this computer is that it was all black, including the ADB mouse and keyboard, both the standard issue at the time of manufacture. 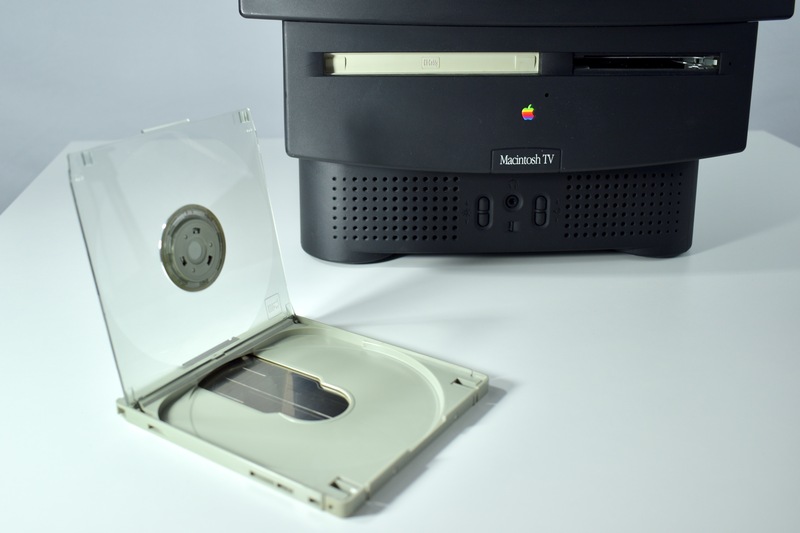 At the time, all other Macintosh computers were beige. 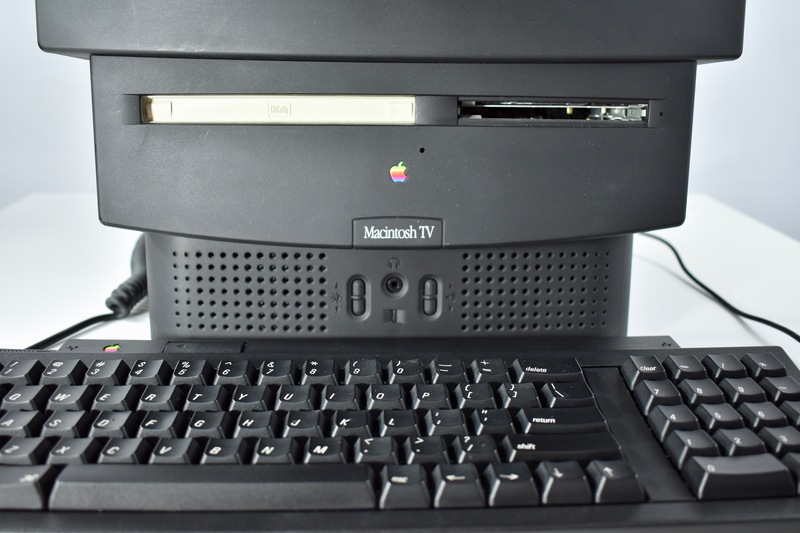 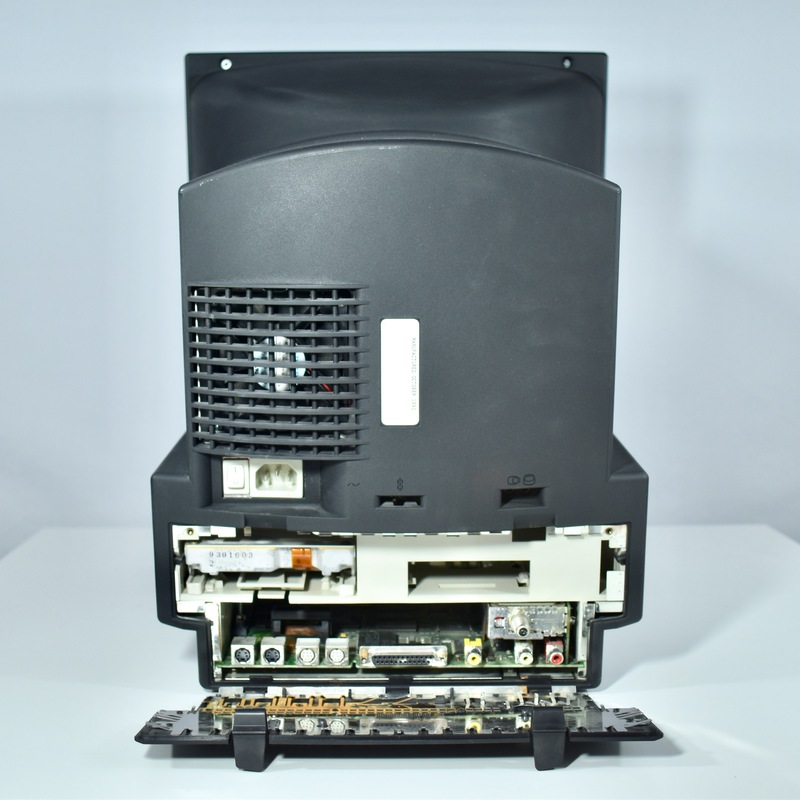 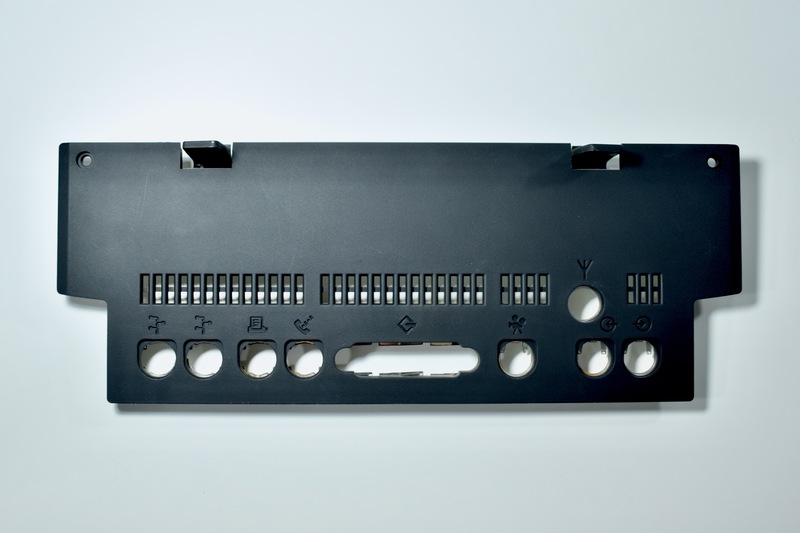 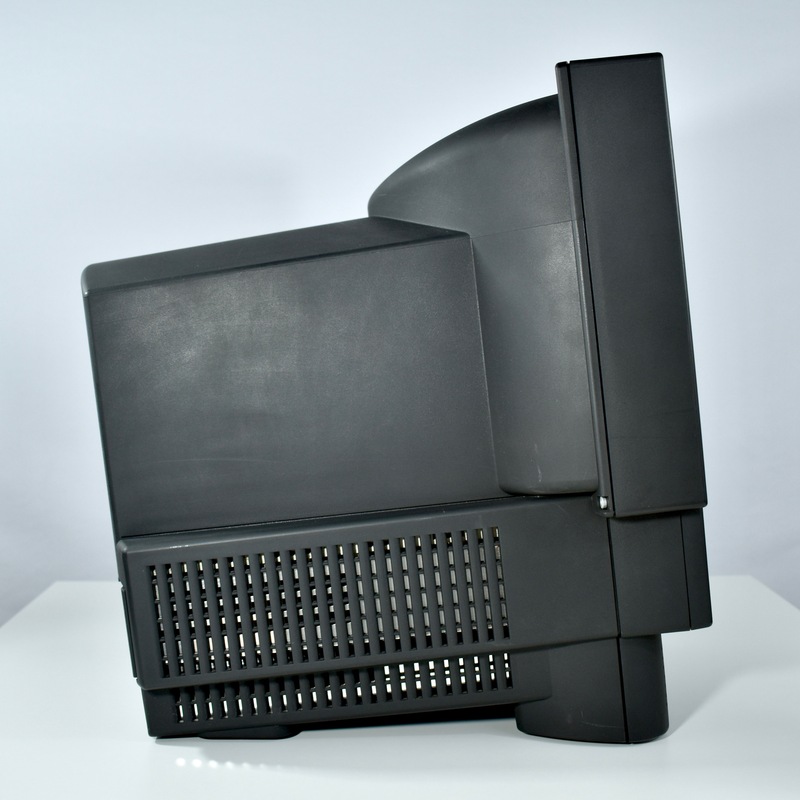 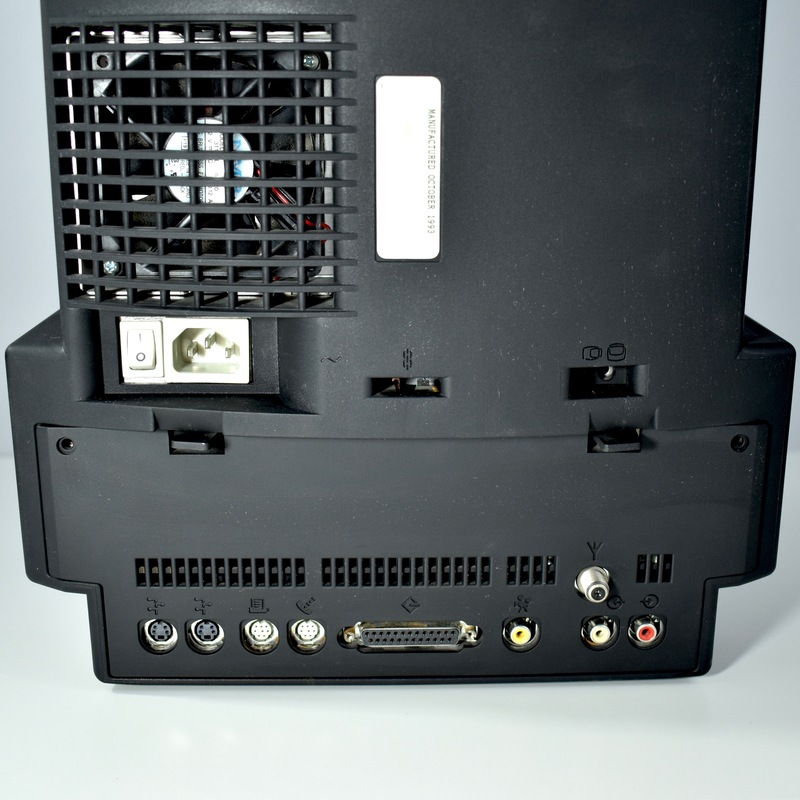 When I did the photo shoot for my Macintosh TV, I noticed that rust had formed around the serial and printer ports in the back of the computer. 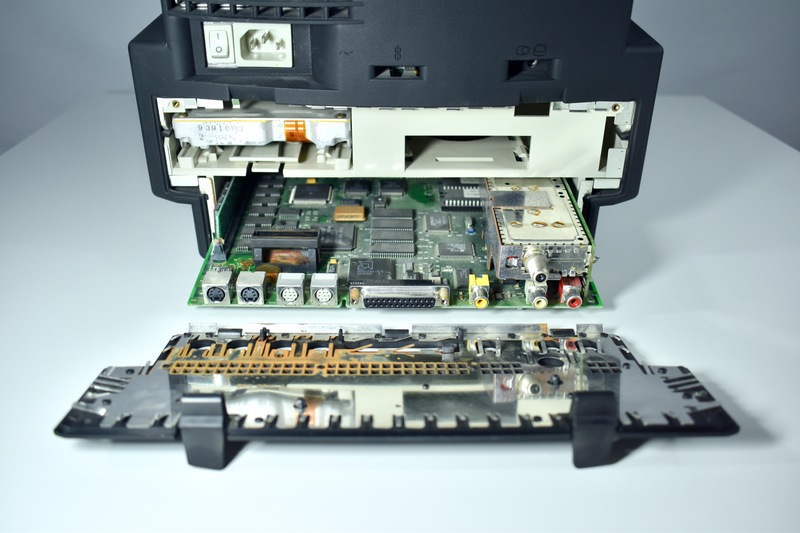 I removed the back and slid out the motherboard to found that the internal battery had ruptured and corroded many of the surrounding parts. 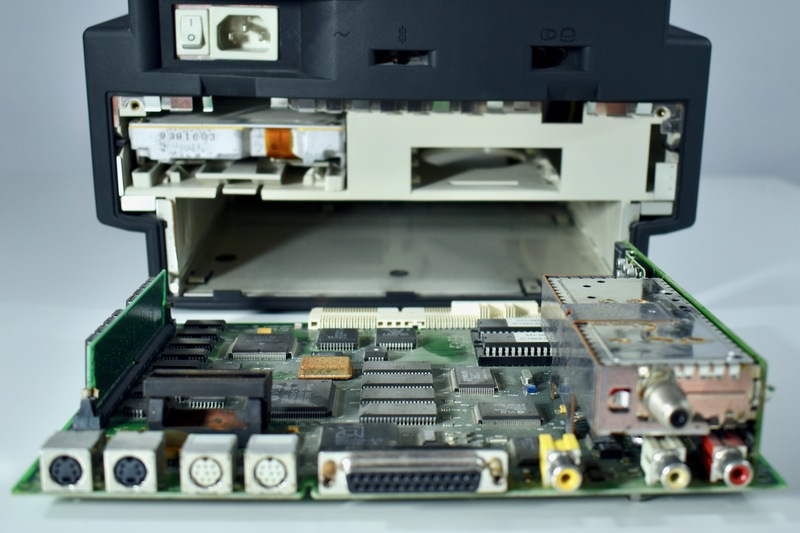 I cleaned the inside of the board and removed the battery. 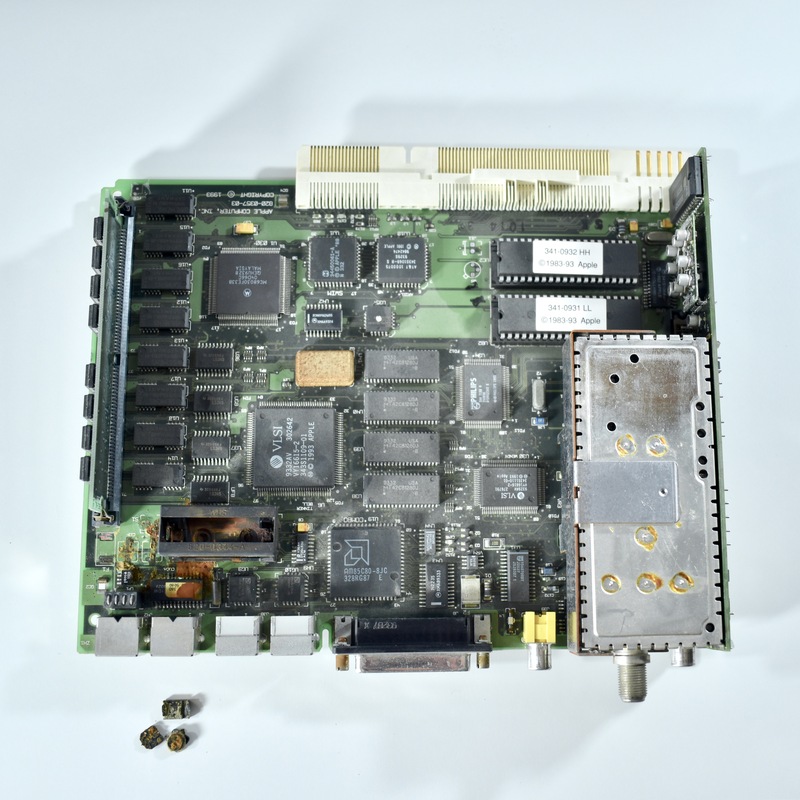 I also didn’t attempt to start the computer since several components on the board were affected.